John Jacob Astor: the original self-made New Yorker? Before Andrew Carnegie, Cornelius Vanderbilt, and J.D. Rockefeller, before Horatio Alger created his fictional rags-to-riches formula for success, there was John Jacob Astor. Arriving in New York City with very little cash but unlimited aspirations, Astor became the first American multi-millionaire and the richest man in the United States by the time of his death in 1848. Business Insider recently identified him as the fifth richest American of all time, just behind Bill Gates. Adjusted for inflation, his fortune from the China trade and real estate investment has been estimated at $121 billion. All this is known. What is less recognized is that Astor began his business as a dealer in musical instruments, that he started fur trading not in the Pacific Northwest, but in New York State, and that his wife Sarah Todd was a vital partner in his business enterprises. Johann Jakob Astor, the youngest son of a successful butcher, was born in Walldorf, Germany in 1763. As a teenager, he followed his older brother, George, to London. From George, Johann learned the business of making and selling musical instruments. Meanwhile, another brother – Henry – had joined the Hessian mercenary force as a cook, and accompanied the British army on its way to attack New York at the beginning of the Revolution. Henry liked what he saw of America and deserted immediately after the Battle of Long Island in 1776, setting himself up as a butcher in New York City. Letters to his brothers in London stressed the opportunity and economic mobility possible in New York. The peace treaty that granted U.S. independence in 1783 allowed John Jacob (his name now anglicized) Astor to undertake the journey to America. The young man landed in Baltimore with nothing but a few flutes in his baggage, and made his way to New York. Though Henry expected his youngest sibling would join him in business, John Jacob had learned on his voyage across the Atlantic that large profits could be made in the fur trade. Starting with no knowledge or skills, he went to work for a New York fur dealer and scoured the port for individuals (Indians or traders) willing to sell their furs. With very little cash John Jacob was able to purchase enough furs to return to London, sell at a substantial profit, and invest in more musical instruments. By 1786, only two years after his arrival in the city, Astor was advertising “an elegant assortment of musical instruments” including “piano fortes, spinnets, piano-forte guitars, the best of violins, Herman flutes, clarinets, hautboys, fifes” to tempt upper-class New Yorkers. The same year, he married Sarah Todd, the daughter of his landlady, who gave the young couple a showroom for the instruments and living space in her house. With Sarah’s dowry of three hundred dollars and John Jacob’s savings, he set off to buy more furs. A portrait of Sarah Todd Astor. 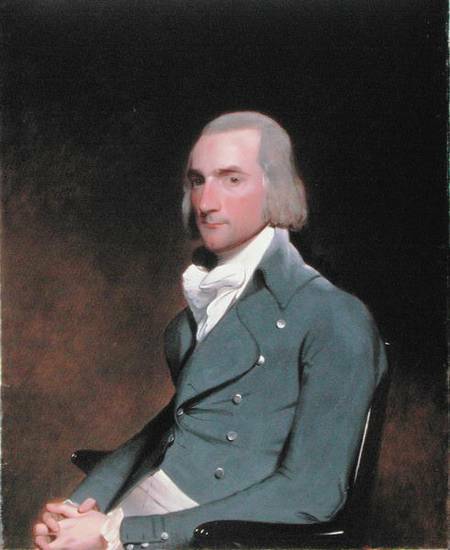 Yet the story of John Jacob Astor’s rise must also include the contributions of native New Yorker Sarah Todd Astor, whose mother was descended from a prominent Dutch family, the Brevoorts. 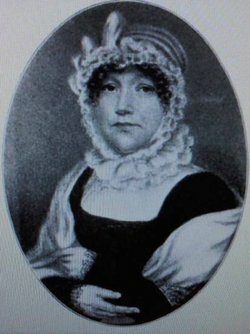 Sarah remained in New York City and supervised their music store while giving birth to a growing family of eight children (only five of whom survived to adulthood). After Jay’s Treaty opened trade with British Canada in 1794, Astor established a base in Montreal, from where he shipped furs down to New York City, then to London, and eventually to China where his cargoes sold for huge amounts. John later insisted that his wife was the best judge of the quality and value of his furs. Eventually, he paid her $500 an hour (adjusted for inflation, that would be far more than $5000 an hour), which she used for charitable contributions. Although John Jacob Astor is a model of the self-reliant, ambitious, and entrepreneurial New Yorker, his story illustrates that even this quintessential self-made man depended on family networks and especially his spouse. 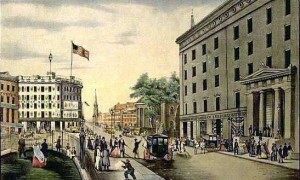 Sarah’s knowledge of New York City and her family connections also encouraged John’s decision to invest in city real estate (beginning in 1799), which eventually became the major source of their family wealth. 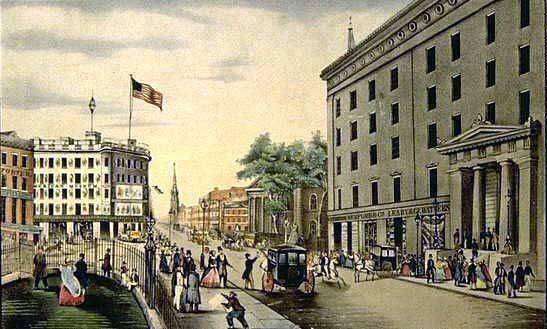 In 1836, Astor built New York’s first mammoth luxury hotel, located on an entire city block along Broadway. Although originally called the Park Hotel for its location across from City Hall Park, the landmark soon became known simply as the “Astor House.” Once the most famous building in the city, it fell out of fashion and was demolished in the early 20th century. A print of the Astor House hotel. Existing locations in New York named for Astor include Astor Place in the East Village neighborhood of Manhattan (site of a famous riot, but that’s another story), Astor Row in Harlem, the Astoria neighborhood in Queens,and Astoria Park (also in Queens). As noted by his biographer, Alexander Emmerich, today the name of Astor has become more associated with the wealth and refinement of his descendants – his grandson’s wife became the “Mrs. Astor” who dictated social status during New York’s Gilded Age, while two of his great-grandsons established the famed Waldorf-Astoria hotel — than the struggles of the original self-made immigrant. Axel Madsen, John Jacob Astor: America’s First Multi-Millionaire (John Wiley & Sons), p. 19. Eric Jay Dolan, Fur, Fortune, and Empire, The Epic History of the Fur Trade in America (New York: W. W. Norton & Company), pp. 192-93. Caroline Bird, Enterprising Women (New York: New American Library, 1976), p. 26. Andrew Emmerich, John Jacob Astor and the First Great American Fortune (Jefferson, North Carolina: McFarland & Co., 2013), p. 166. This entry was posted in Uncategorized on July 21, 2014 by Joshua Simons. Return of the New York Rediscovered blog: Has Women’s History Month outlived its usefulness?